Is it time for a visit from the Tooth Fairy? Well then, we have got you covered. Tooth Fairy Pillows, Tooth Fairy Letters and Gifts. 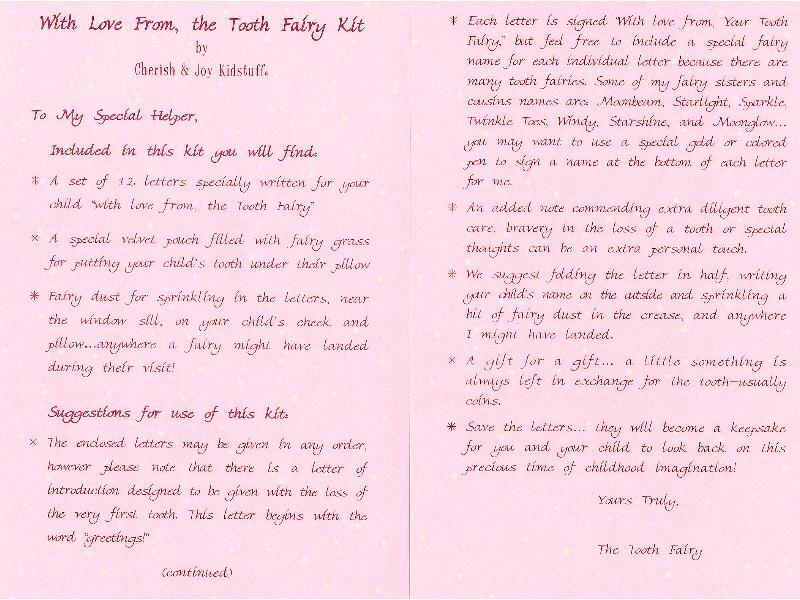 A set of 12 letters specially written for your girl with love from the Tooth Fairy. 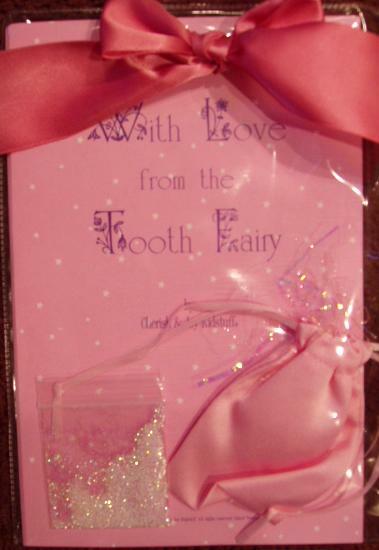 Also a special velvet pouch filled with fairy grass for putting your childs tooth under the pillow. Included too, is fairy dust for sprinkling in the letters, near the window sill, on your childs cheek and pillow anywhere a fairy might have landed. A set of 12 letters specially written for your boy with love from the Tooth Fairy. 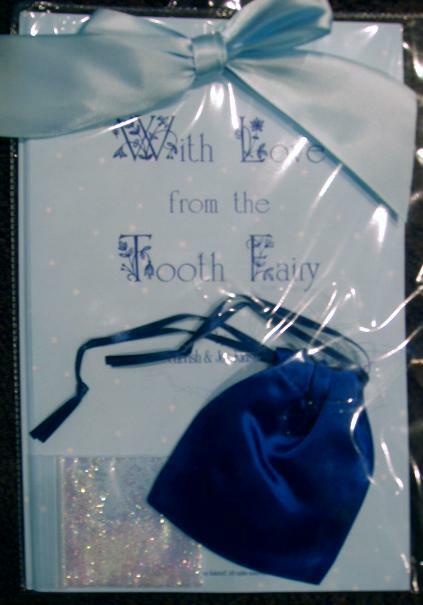 Also a special velvet pouch filled with fairy grass for putting your childs tooth under the pillow. Included too, is fairy dust for sprinkling in the letters, near the window sill, on your childs cheek and pillow anywhere a fairy might have landed.